A vehicle wrap provides constant advertisement for your business and will make your vehicle looked polished for years to come. 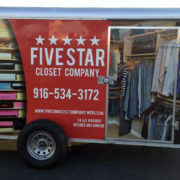 When Five Star Closet Company was ready for their first vehicle wrap, they came to Metro Print and Mail Solutions. They worked with our large format department who took care of their project from design to installation. We completely wrapped their 12 x 6 trailer in a bold design that makes it look like you are standing in front of a beautiful and perfectly organized closet. Click on a picture below to view larger images and details. Getting all wrapped up. 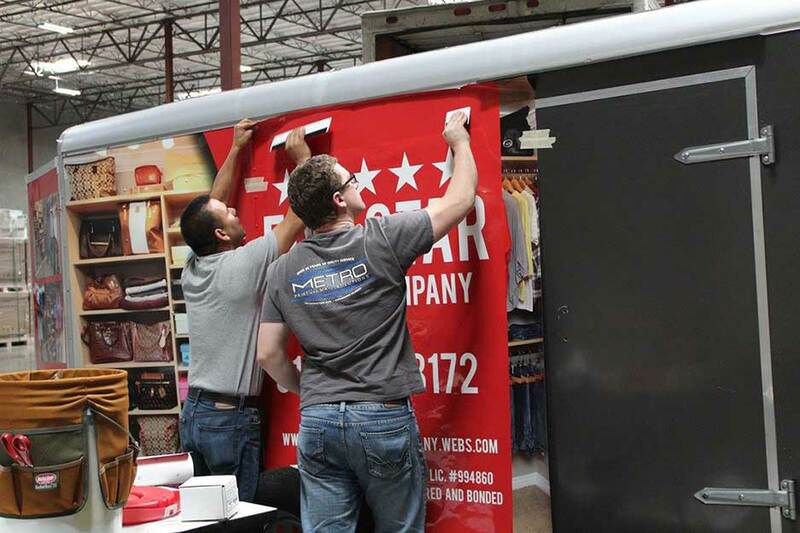 The trailer in the process of applying the vinyl wrap to one of the trailer’s sides. The vinyl has an adhesive backing making application tricky on larger objects but our Metro team made sure that the vinyl was applied with precision. The completed trailer with all four-sides wrapped in a high-grade vinyl that will last for years to come. 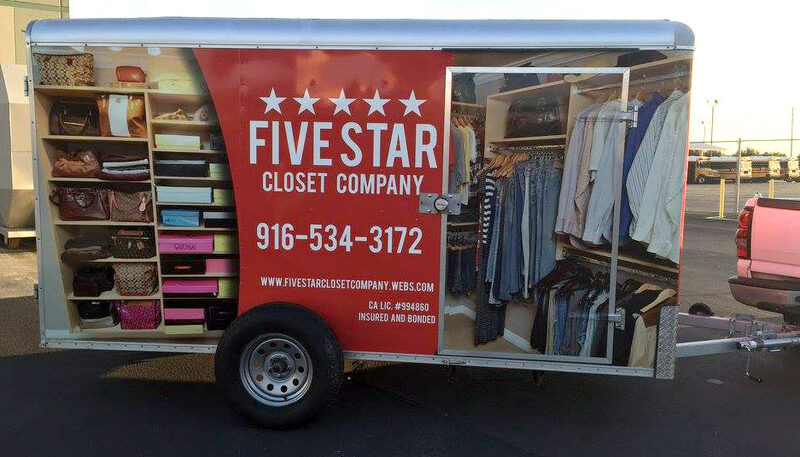 Our state-of-the-art large format printer is what made it possible to wrap Five Star Closet Company’s vehicle in a design so vivid and colorful. It is also made to last – the wrap material is a vehicle-grade vinyl that can last for 5-7 years. No matter what your bold idea is, Metro Print and Mail can create and print complex designs that will make your vehicle or trailer stand out. Our experienced team works with you every step of the way to make sure that your idea is exactly what you are looking for. 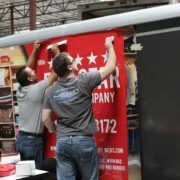 If you have any questions regarding our large format printing services call us at (916) 928-0801 or request a quote for your project. Get started today by simply getting a free estimate for your project.